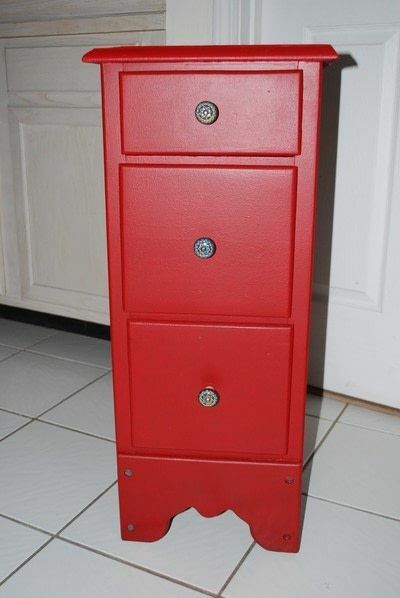 Recycle and re-decorate at the same time! 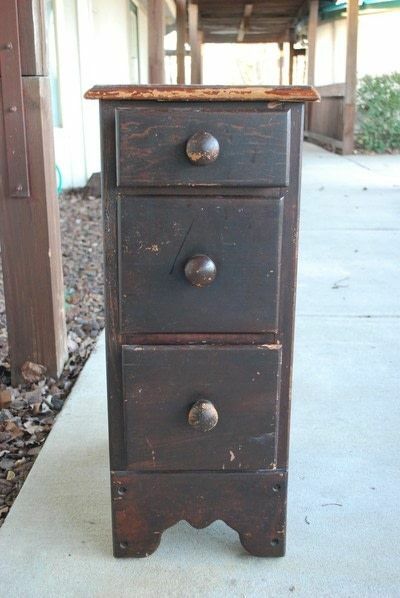 I saw this dresser on the side of the road just waiting for the trash man, so I decided to take it home and fix it up since I have been needing a dresser for my side of the bed. Then use a sander to remove all the old paint and smooth any imperfections. 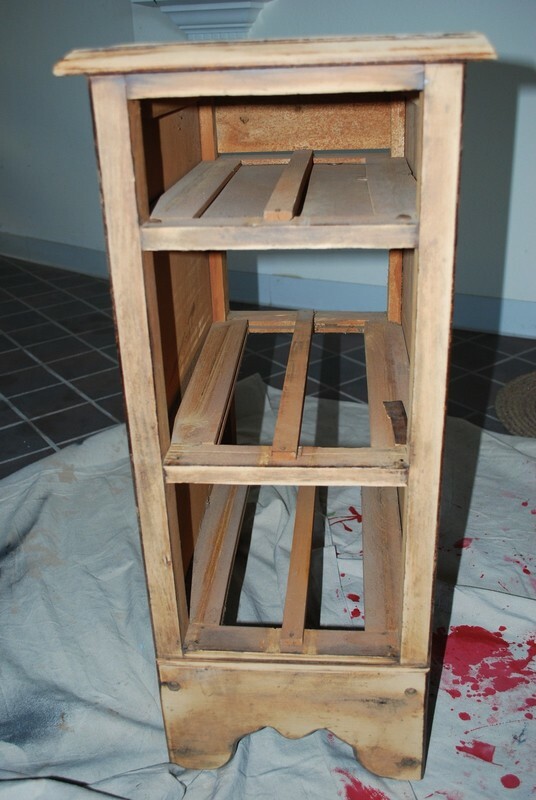 Use primer to coat the entire surface. 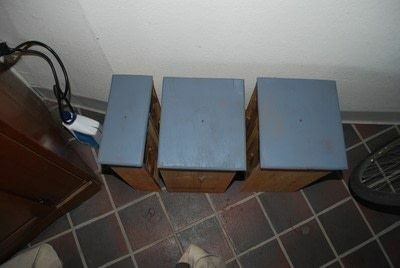 I used spray paint primer because I think it's easier and a whole lot quicker than a brush. 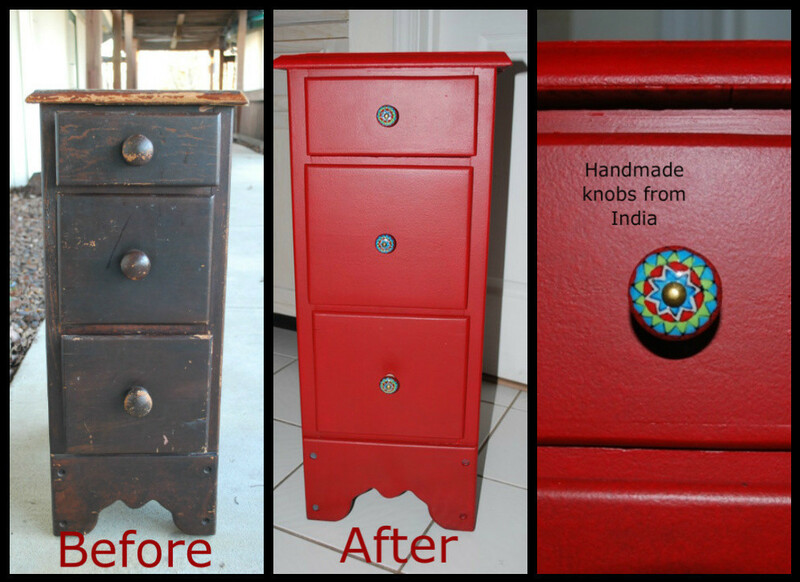 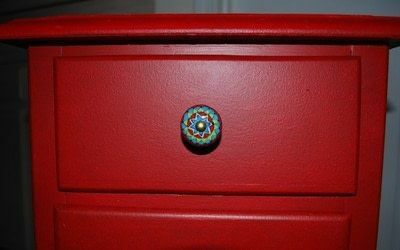 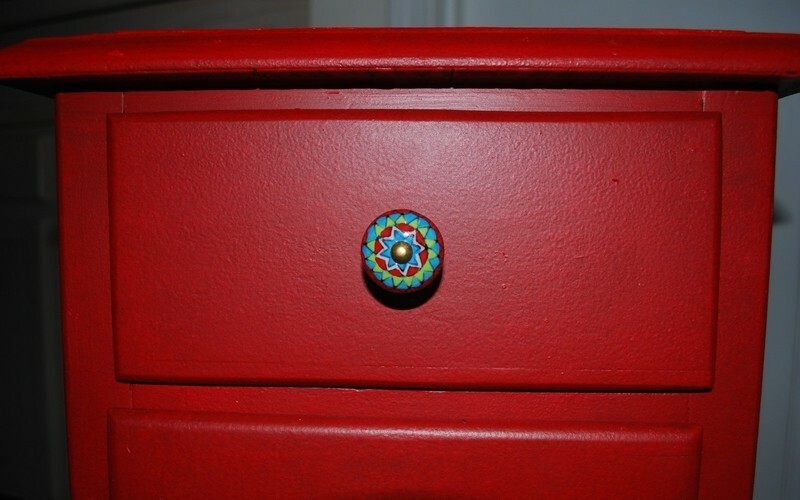 I liked the size of the previous pull knobs, but they had been chewed on by a dog so I replaced them with handmade hand-painted knobs from India that I got at World Market.